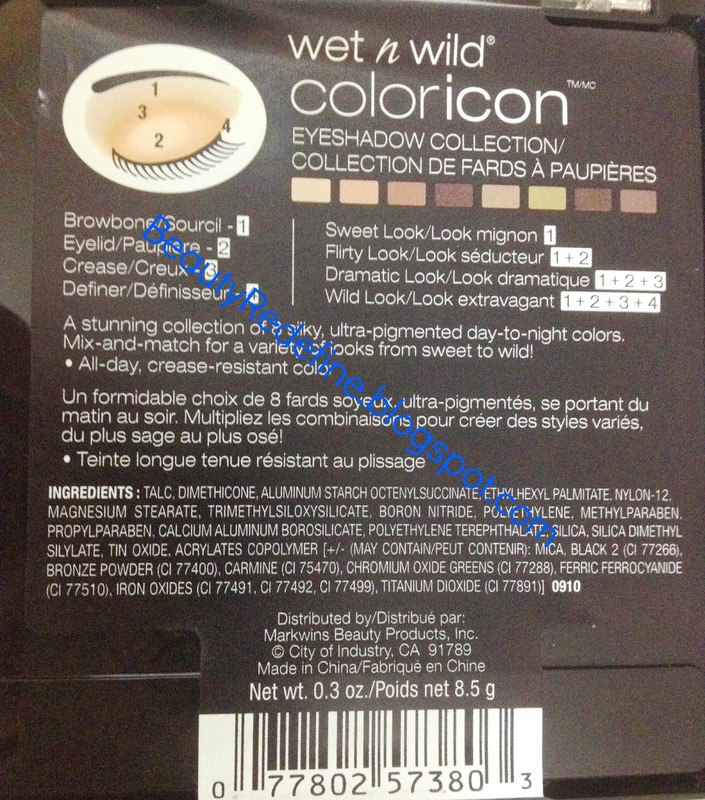 Today i will be reviewing one of the Wet n Wild Color Icon Eyeshadow Collection Palette. These palettes are undoubtably one of the most raved about and affordable palettes. I bought few palette after hearing so many good reviews about it. Also this is my First purchase from this range in palettes. Even though there are so many Palettes available which have some gorgeous colors, I couldn’t resist buying few of these palettes. You can Check HERE. One of these palettes is called ‘’Comfort Zone’’ and amongst all the palettes, this one is my favorite. is a olive green with a golden sheen. is a warm, medium-dark golden brown with shimmer. is a charcoal brown with a greenish pearly sheen. is a dark, burgundy and copper shimmered brown. is a red-brown with a teal frosted finish. 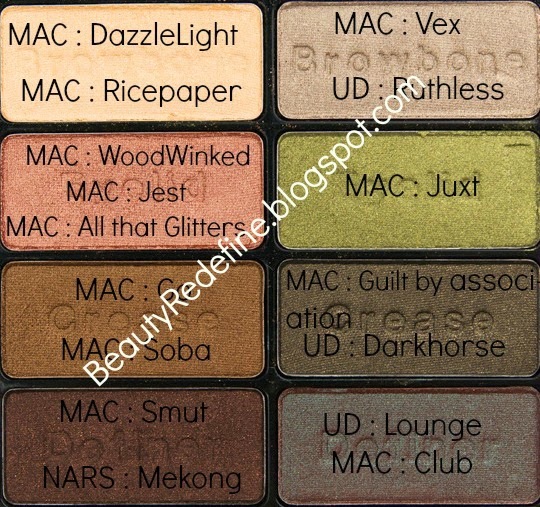 People also refer these colors as dupes of shades by some high-end brand's like MAC but most colors are more pigmented than MAC. Most of the shades are a bit more frosty for my liking. 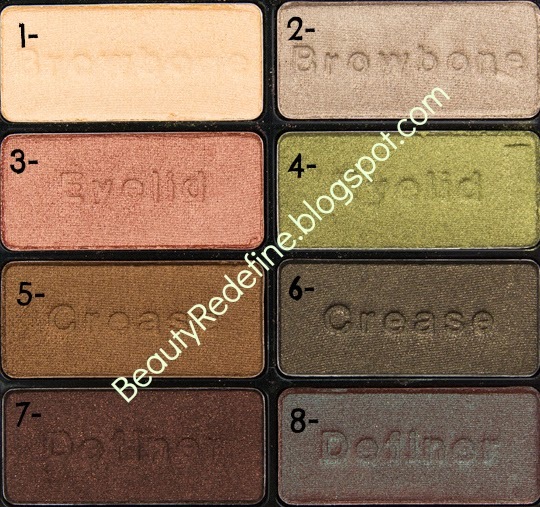 The colors in this palette are super soft and highly pigmented. They're also easy to blend. 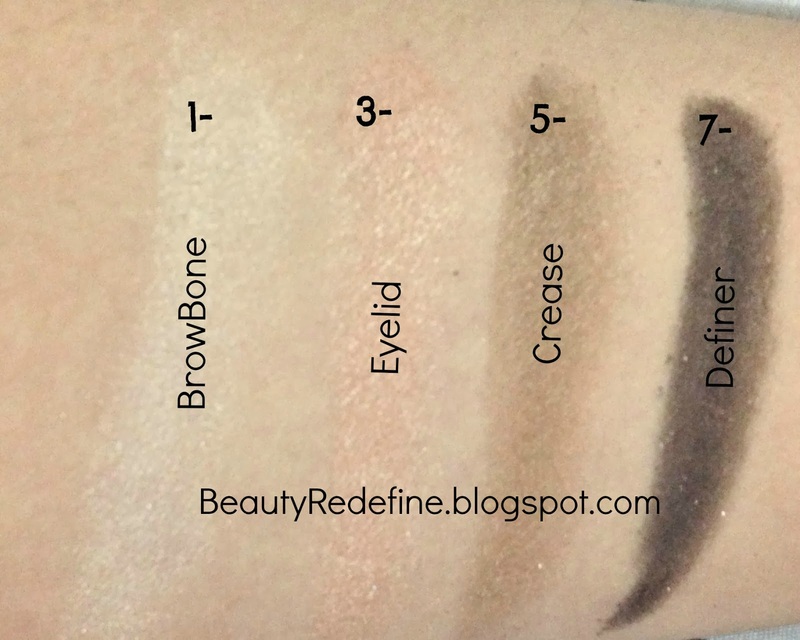 Except for (4) and (5) which are comparatively less pigmented and difficult to blend. I love the fact that the colors last all day without a primer, so basically it means that if you use a primer underneath then the shades are even more vibrant and gorgeous. 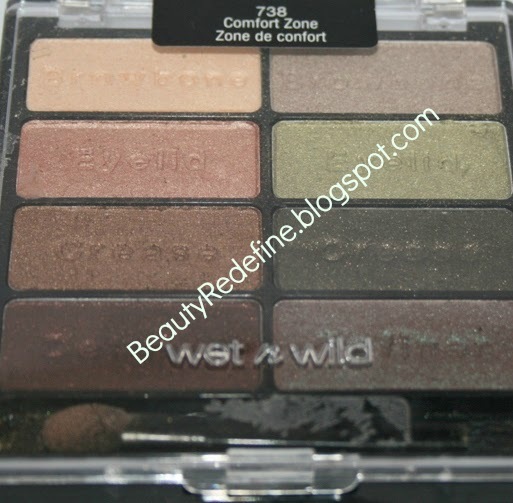 I would have loved it more if it had at least 1 matte shade but sadly WetnWild chose not to include even of them! The packaging is quite fragile; it wouldn’t take much casualness to round up the palettes in a colorful cloud. But then for 5 USD i think that's ok. 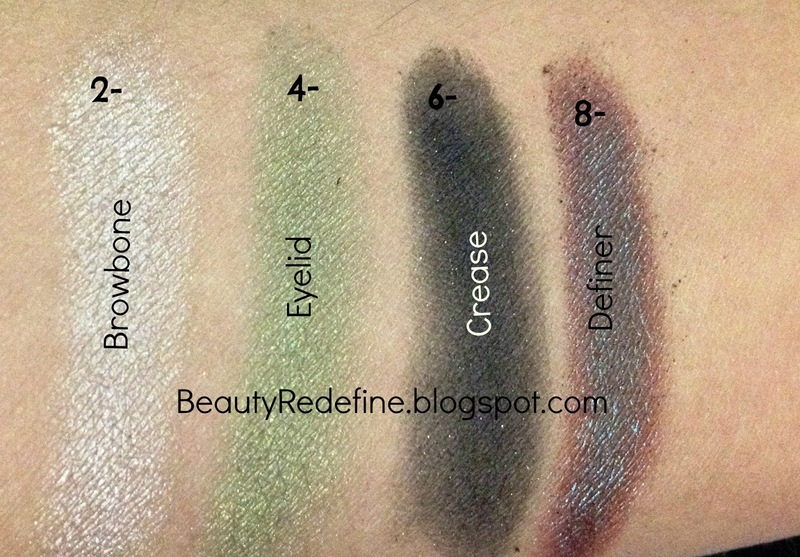 Overall, I love this palette because of vibrant and gorgeous shades. Also color payoff is amazing and the palettes can be easily blended for creating wide variety of shades ranging from neutrals for everyday look and more colorful ones for when you want a bit of drama. What do you guys think of this palette? Do you own it? Is it on your wishlist? Do share your thoughts and do visit my blog !! Cute colors! Lets follow each other? If you need the help and advice of a professional,Skin Clinic Delhi visit http://www.skindelhi.com/. I always wanted to try W&W eyeshadow. Have been hearing many good reviews about it. Thank you for the swatches and review. Im in total agreement with you on this paleette it has some gorgeous shades anf the quality is amazing! Beautiful shades! If I know how to apply eyeshadow makeup, this would enhance my dramatic eyes! the last palette is s cute. I love all of those shades....they are so glamour and shining. I wish I had it. I love no. 3 and no. 4 .. although 4 wouldn't suit me a bit! Overall looks like a great compact palette! lovely color swatched but it look very unattractive in its packaging!